"Philippe Coutinho - Liverpool FC" (用英文寫). "FIFA Player Statistics: PHILIPPE COUTINHO - FIFA.com" (用英文寫). "Philippe Coutinho - National Football Teams" (用英文寫). "Philippe Coutinho - Football Stats" (用英文寫). "Philippe Coutinho Bio, Stats, News - Football / Soccer - - ESPN FC" (用英文寫). 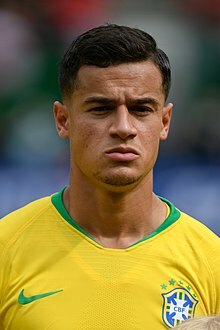 "紅軍新球員--古天奴 Philippe Coutinho (附個人精華)" (用中文寫).